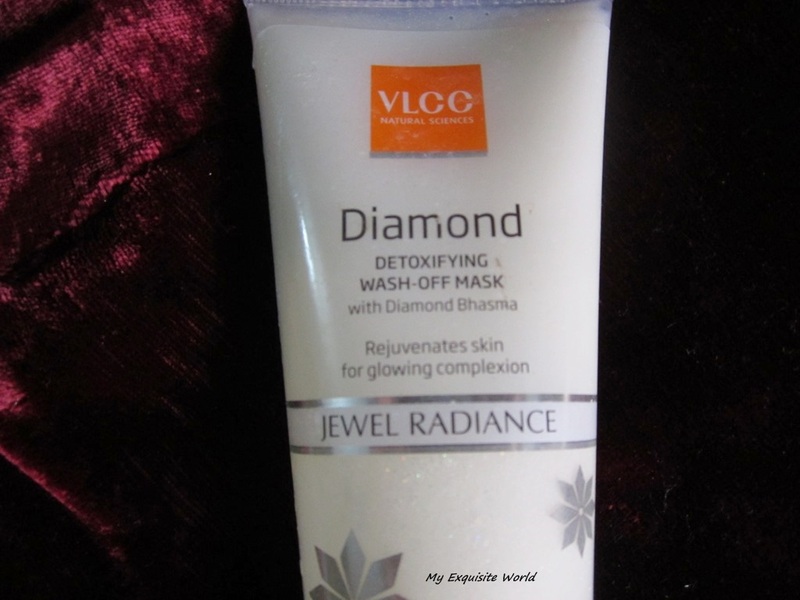 ABOUT: Rejuvenates skin for glowing complexion.A unique wash-off mask that is enriched with the goodness of Diamond Bhasma, known for its detoxifying properties. This is an efficacious formulation that deep cleanses the skin revealing youthful glow. 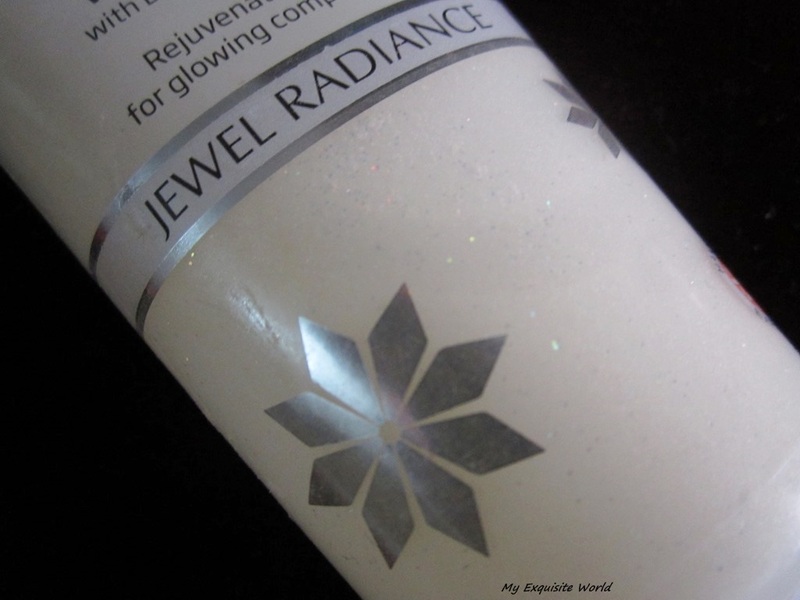 Its purifying action clarifies the skin leaving it youthful and glowing. 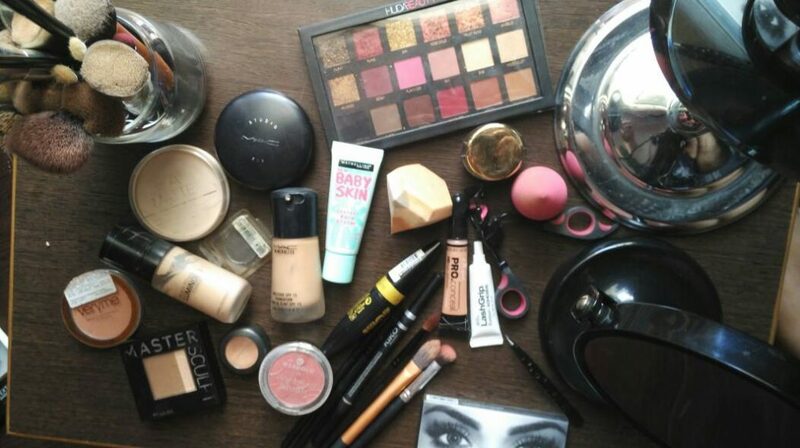 Take appropriate amount and apply all over the face and neck avoiding the eye area. Keep it on for 20 minutes. Wipe and rinse thoroughly. 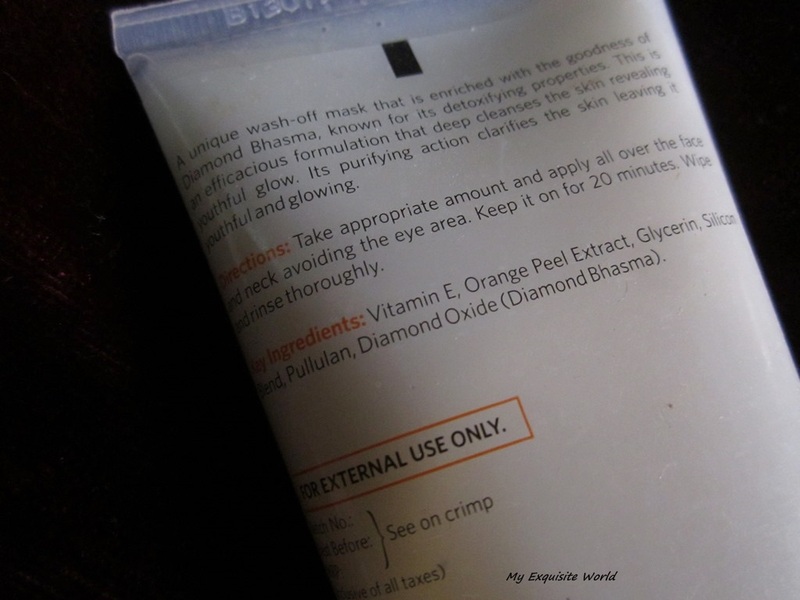 Vitamin E, Orange Peel Extract, Glycerin, Silicon Blend, Pullulan, Diamond Oxide (Diamond Bhasma). 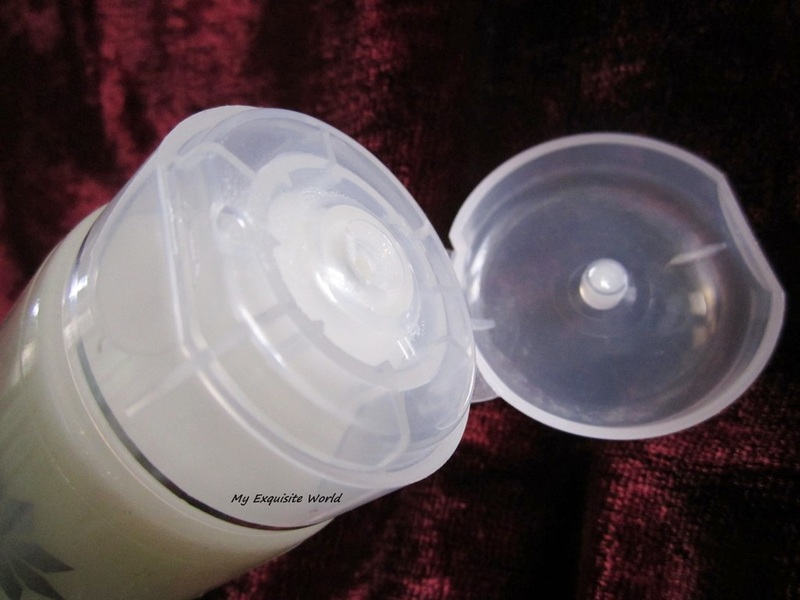 PACKAGING:The mask has a transparent white tube having a small nozzle to dispense out the product.There’s nothing too fancy about the packaging.It is easy tot use,travel friendly and sturdy. 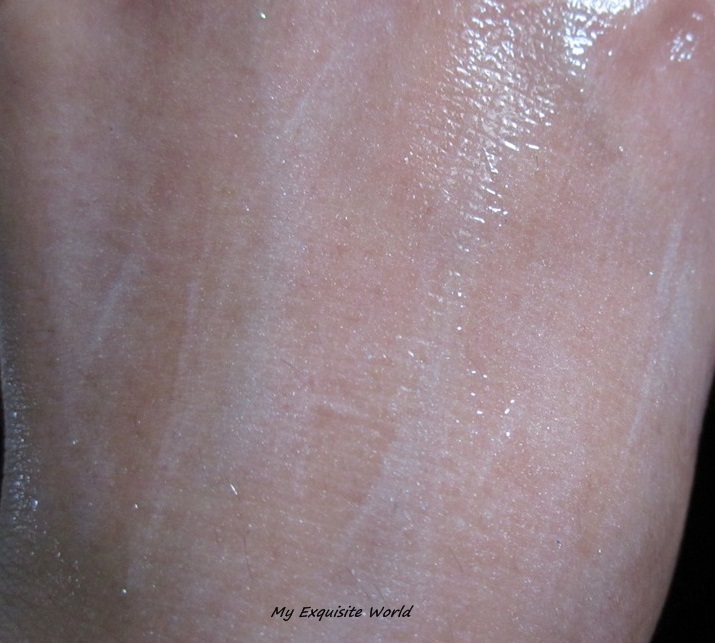 MY VIEWS: Unlike the scrub that I loathed,I love this product.I love the consistency of the mask that is neither too runny nor too thick.It is fuss-free,mess-free and easy to apply and spread.It is slightly wet on application but soon dries and forms a transparent layer on face with silver shimmer particles shining on the face.It has the same pleasant fragrance that is there in the scrub that I really like. 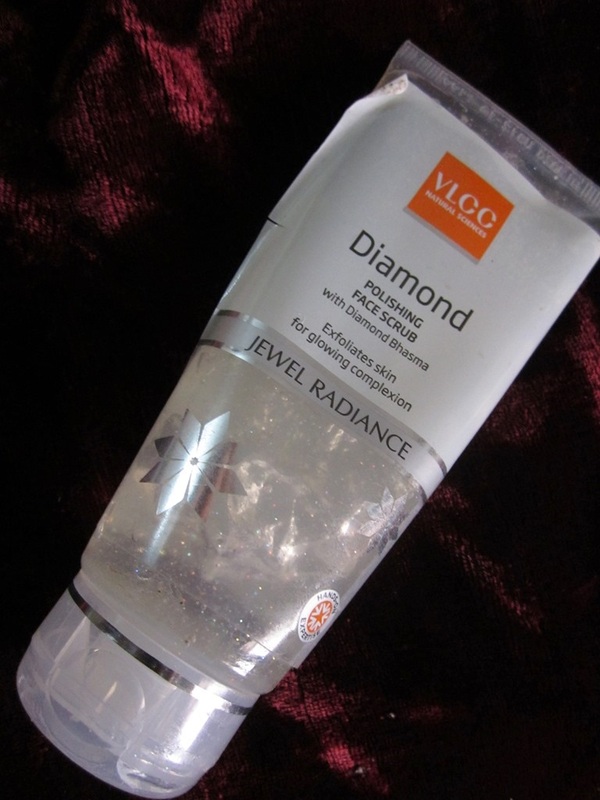 It apply it for 15-20 minutes and after that wash off with lukewarm water as it makes the face slightly slippery on washing off.I love the glow it imparts to the skin.The mask makes my face bright ,clean and refreshed without taking away the facial oil.My skin feels soft and nourished.The glow does stay for a day or two so this is a great product for adding brightness to the face. RECOMMENDATION: I highly recommend checking out this mask as it is pocket friendly and does a great job at providing brightness to the face.Highly recommend!! 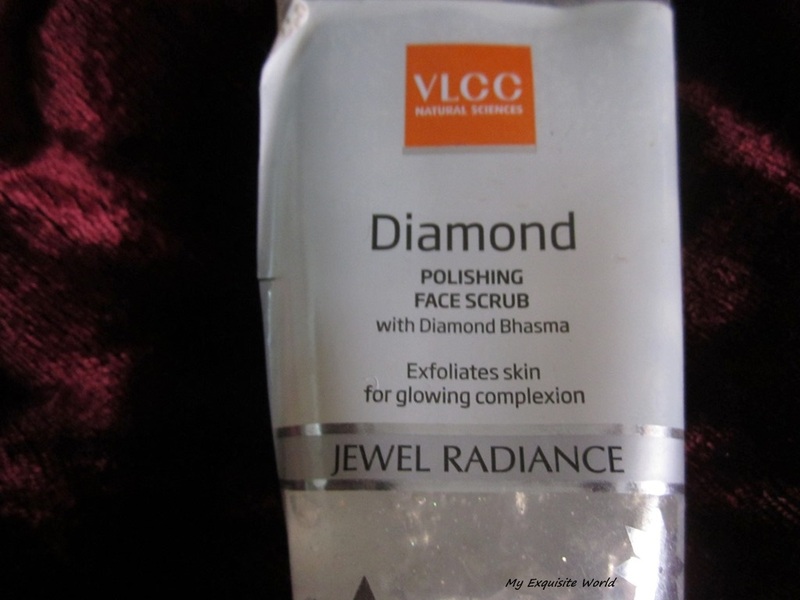 ABOUT:A unique formulation enriched with the goodness of real Diamond Bhasma, designed to offer deep exfoliation of dead cells, embedded dirt and grime from skin. Its superior formulation detoxifies the skin and improves blood circulation, while Jojoba Oil provides long-lasting moisturisation that makes skin soft and supple. 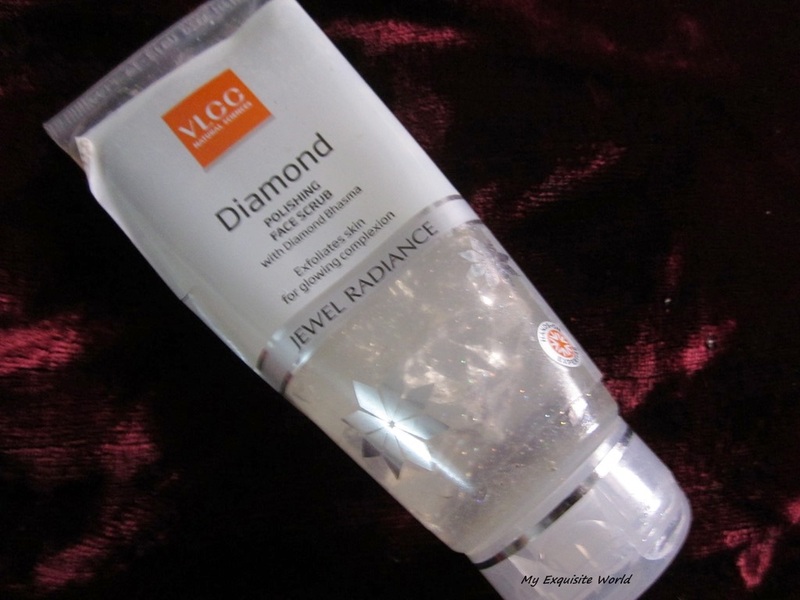 Take an appropriate amount and apply all over the clean face and neck. Scrub gently with circular movements for at least 5-7 minutes. Rinse thoroughly. 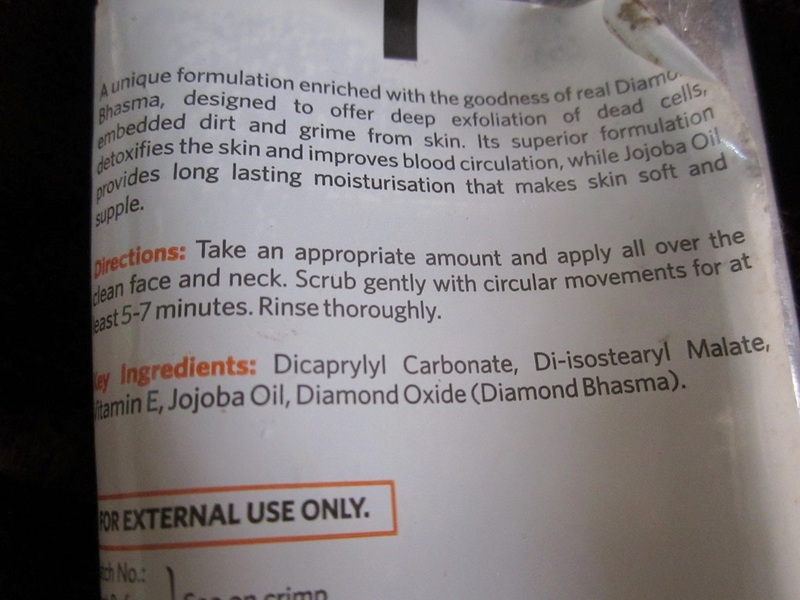 Key Ingredients :Dicaprylyl Carbonate, Di-isostearyl Malate, Vitamin E, Jojoba Oil, Diamond Oxide (Diamond Bhasma). PACKAGING:The scrub has a transparent white tube having a small nozzle to dispense out the product.There’s nothing too fancy about the packaging.It is easy tot use,travel friendly and sturdy. 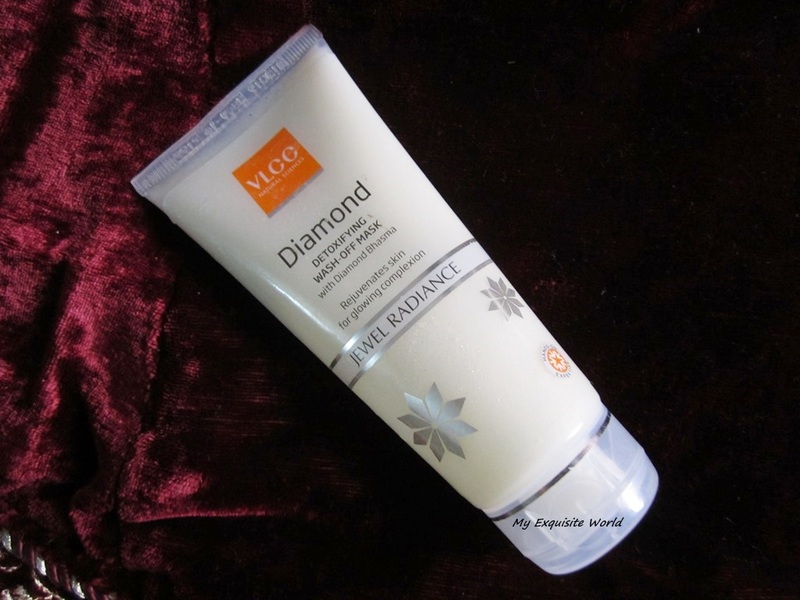 Ok…so I tell you guys,there’s no diamond thing in the scrub.Instead there are multicolor shimmer in it that reflect and add bling to the scrub.The scrub itself has mild consistency towards thicker side.It is easy to apply and use all over the face.It doesn’t feel gritty or abrasive and is gentle on pimples.The scrub did not break me out either.It has divine fragrance that I adore to the fullest. However,the main task of cleansing and making the skin soft is not done by this scrub.Yes!! At least for me.It did not remove the dead skin that gets accumulated near the sides of the nose.And instead of making me face clean and fresh,it made it greasy.I have never in my life used such a product.And I believe that it’s not only for my combination-oily skin that the scrub reacted this way,the scrub will not suit dry-normal skin also. I have to wash my face with a face wash to clear out the greasiness which I truly hate!! RECOMMENDATION:This 0.5 is only given for the fragrance of the scrub.Other than that,it’s an absolute dud! !